Morning Glory - White Buffalo Trading Co. Morning Glories are a favorite garden flower with a colorful history in the Americas. According to W.P. Armstrong, the seeds of two varieties of Mexican morning glories, Ipomoea tricolor and Turbina corymbosa, were consumed in a liquid concoction by Aztec priests as a way to commune with their gods. 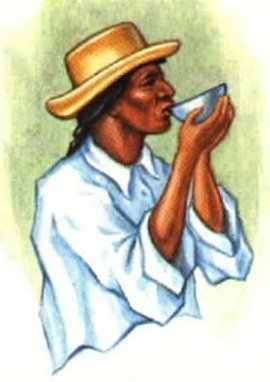 An intoxicating drink made from the pulverized seeds of these species was administered by a shaman who knew the proper dosage, and it was even used as a cure for some illnesses. Names such as Heavenly Blue and Pearly Gates attest to these ancient properties. The seeds from the white-flowered morning glory Turbina corymbosa are called ololiuqui by the native Indians of Mexico, and the black, angular seeds from the pink-flowered Ipomoea tricolor are called tlitliltzin. Native Mexican tribes still use morning glory seeds for healing and for religious rituals. 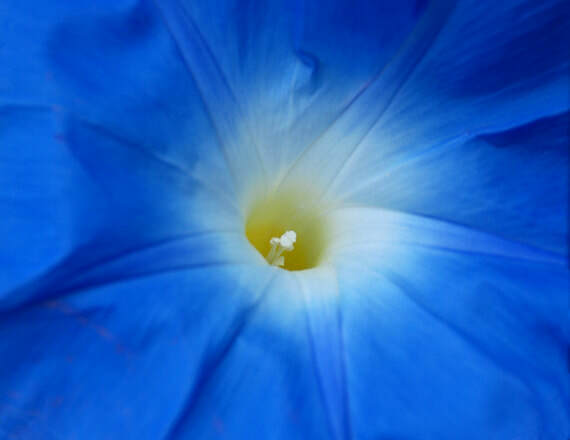 When the use of morning glory seeds was forbidden by the invading Spaniards, the Aztecs and native tribes continued to use them in secrecy to worship their gods. The identity of ololiuqui was shrouded in mystery for centuries (as was the use of psilocybin mushrooms). Because of their similar, trumpet-shaped blossoms, the Spaniards thought ololiuqui was Datura. 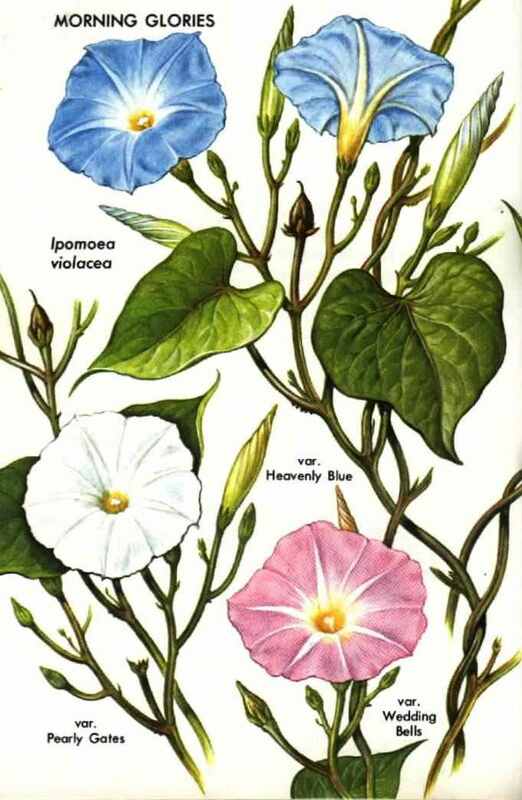 Not until the 1930s were the mysterious seeds finally linked to morning glories. Morning Glory seeds contain LSA, a natural chemical cousin of LSD-25. 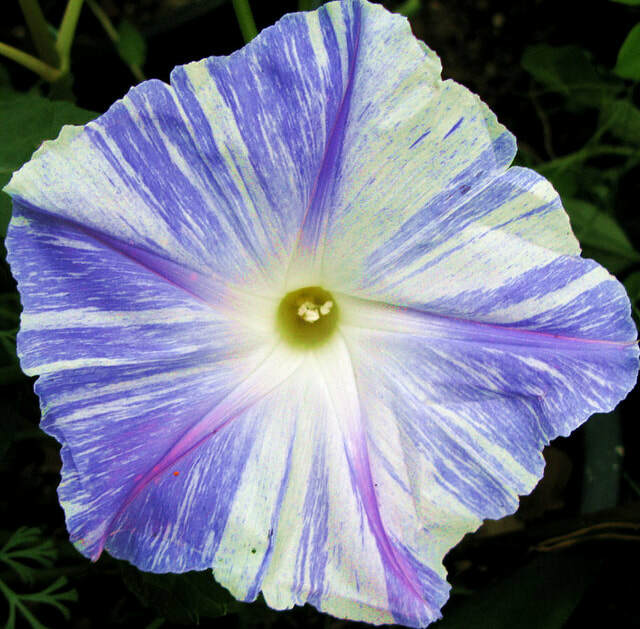 The US government once attempted to curtail the consumption of morning glory seeds in the late 1960s hippie era by asking seed companies to coat them with noxious chemicals. However, they are simple, beautiful and legal to grow in any summer garden (except in Arizona), producing a bounty of natural seeds outside of the government’s control. Varietal names such as “heavenly blue” and “pearly gates” perpetually allude to their inherent psychotropic properties. 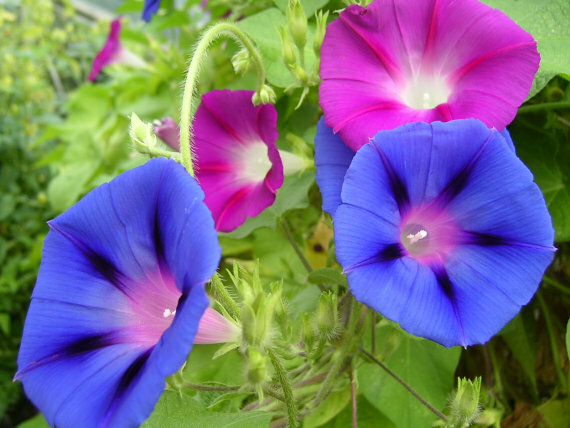 Morning glory was first documented in China for its medicinal uses, due to the laxative properties of its seeds. It was introduced to the Japanese in the ninth century, and they were the first to cultivate it as an ornamental flower. During the Edo Period, it became very popular. The Japanese have lead the world in developing varieties. Hundreds have evolved, such as a brownish colored variant known as Dajuro, and varieties with such evocative names as 'Brocade of Dawn', 'Moon in the Dusk' and 'Wisteria Girl'. It has come to symbolize summer in Japanese horticulture and art. Morning glories are easy. Soak seeds overnight and then direct sow in the sun in the Spring. Water whenever the ground is dry, and watch for snails and slugs. Provide a trellis or awning for climbing. These are vines. Plant after all chance of frost is over. If you have the large white seeds, score them before planting. Typically, they will reseed by themselves and are considered an invasive species in Arizona. In cultivation, most are treated as perennial plants in frost-free areas and as annual plants in colder climates with frost, but some species tolerate winter cold. There are some species which are strictly annual, producing many seeds, and some perennial species which are propagated by cuttings. Some moonflowers, which flower at night, are also in the morning glory family. Because of their fast growth, twining habit, attractive flowers, and tolerance for poor, dry soils, some morning glories are excellent vines for creating summer shade on building walls when trellised, thus keeping the building cooler and reducing heating and cooling costs. Many morning glories will self-seed in the garden. They have a hard seed coat which delays germination until late spring, at which time they will grow and flower rapidly.